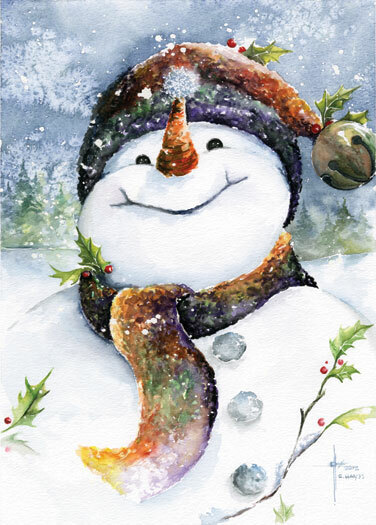 Love the snowman, so cute! Thank you! I hope that he brings some smiles to the holidays this year. Purchased the winter barn scene at Christkindlmarkt. What a beautiful and peaceful picture. Is there history behind this painting? Thank you for sharing your talent. thank you Jan and I’m sorry I couldnt be there at the show this year due to unexpected heart surgery. 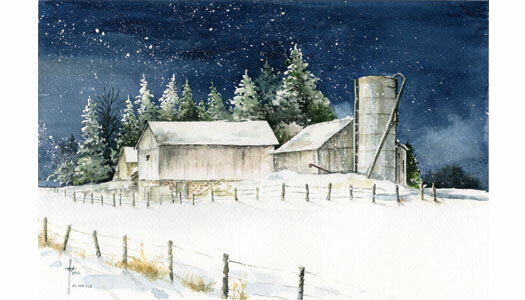 Raised in Dale, IN I have always had a love for farms and barns, and long country roads that would light up as though it was daylight in the white blanketed snowy winter. I tried to capture both the physical peace of such a night, but also the spritual peace of such a beautiful night. Thank you again and I hope to be there for the next show.